A single glance at the cupboard would give you the impression that it needs cleaning. Well it’s been on my mind for a while and finally I resolved to get it done. I wrapped a scarf around my nose and got down to work this afternoon. the kind of jewels I would be happy to unearth. The things for which I would readily follow a map to insidious jungles ; across the narrow sea, even tame a dragon if such a need arises. No, I won’t kill a dragon because these mythic creatures have fascinated me for so long and I would consider my luck if I could get one as my pet. Gently I took each of my book babies out. I religiously dusted the shelves and put the books back neat and clean. I was relieved to know that there were no casualties. Dust had collected on each shelves and my haste to get my hands on a book to read left the once kept in ordered books a bit tardy. I maybe bragging but I pride myself over the fact that I have kept safe a huge part of my childhood collection of books. Most of them were handed down from my mother and her sister. The yellow pages excite me , time could not ravage these beauties ! Aye , time has seemed to fail for once. 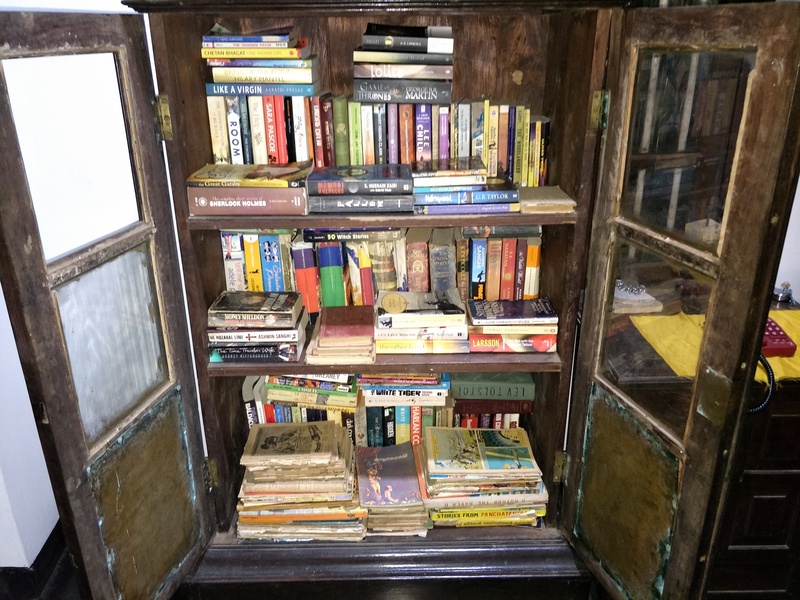 This cupboard which always accepted the hoard of books I purchased reminded me of a grandmother always ready to amuse the kids with tales as old as earth and anew. The wooden beauty seemed wise with age, the cobwebs collected atop it resembled the specks of grey that have crept on her raven coloured hair of yore. She had a tale for everyone old or young. 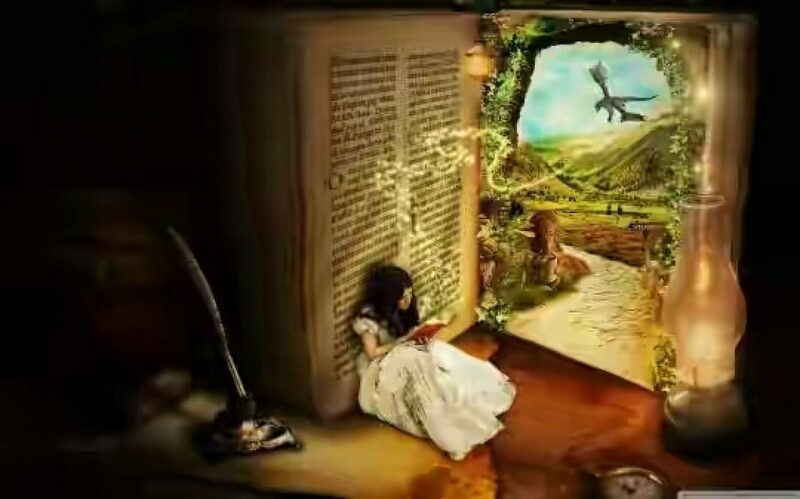 She stored an eclectic mix of tales be it fantasy , crime, horror and even those once considered scandalous ! I could not help myself from thinking about how I came to have to have these joys in tangible forms; some gifted ,some passed on and a large chunk brought from second hand book shops. I could not resist offering a home to books. I even consider myself connoisseur of books if ever there is such a thing. I stood grinning at my treasure chest restored back to health . The sky opened,the rain fell and my bed beckoned. Grabbing the books I kept aside for current reading, I made my way back to my room.